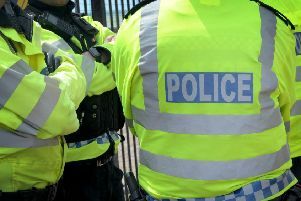 A Sussex resident has flagged up with police a telephone scam that is currently doing the rounds. The person says: “I have had two phone calls, one yesterday and one today, Saturday 1st October, from someone purporting to be from BT and informing me I had a problem with my Internet connection and with viruses on my computer. “They informed me that I could avoid an internet disconnection within an hour for a period of two weeks by following their instructions to fix the faults whilst in front of my computer screen. The police say that “they use well-rehearsed stories, designed to gain their victim’s trust, for example pretending to be police officers who have just arrested someone using a copy of your bank card and alerting you that your money is in danger, or pretending to be from your phone or computer service provider and claiming that there is a problem with your system that they need to fix. “Fraudsters often claim to be officials and can seem very genuine, but you should always bear in mind that callers may not be who they claim to be, even if they already seem to know details such as your name and address. “Genuine police or bank staff would never ask you to withdraw or transfer cash from your account, nor would they ever ask for your four digit bank PIN number. Never tell anyone this number, it is for you to use in cash machines and shops only. “Genuine computer firms will not call unexpectedly to help fix your computer. Fraudsters make these calls to try to gain access to your online bank account or to trick you into paying for something you didn’t need or to damage your computer with harmful software. · Be sceptical of callers, even those who claim to be officials. · Don’t be afraid to put the phone down with a brief ‘No, thank you’. · NEVER give personal information, such as your date of birth or bank details, to unexpected callers. · NEVER allow an unexpected caller to talk you through processes on your computer, like downloading new software or accessing your online bank account. · Remember that the police or your bank would NEVER unexpectedly call you and ask you to withdraw cash or move your money to another account, as a result of fraud or any other reason. · If callers suggest you call your local police or bank to check who they are, use another phone or ensure the line has been fully disconnected by phoning a friend or relative first, or by waiting at least 3 minutes, otherwise you may think you’ve phoned a number, but you’re simply talking to the fraudsters again. This is a common fraudsters’ tactic. · If a caller asks you to type your bank PIN number into your telephone handset - do not do this, as fraudsters can use technology to identify the numbers. · You can opt out of many cold calls by registering for free with the Telephone Preference Service on 0845 070 0707.